Here are the first three titles in John FlanaganOs `New York Times` bestselling series, all collected in one boxed set, perfect for gift giving! The RangerOs Apprentice series has taken readers by storm, captivating them with the adventures of Will, apprentice to the secretive Ranger Halt. John Flanagan grew up in Sydney, Australia hoping to be a writer. It wasn't until he wrote a highly uncomplimentary poem about a senior executive at the agency he worked, however, that his talent was revealed. It turned out one of the company directors agreed with John's assessment of the executive, and happily agreed to train John in copywriting. After writing advertising copy for the next two decades, John teamed with an old friend to develop a television sitcom, `Hey Dad!,` which went on to air for eight years. 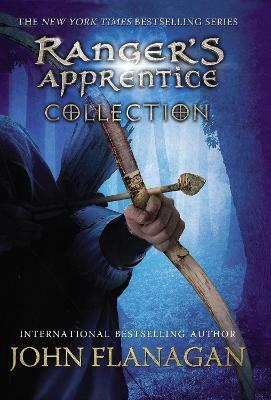 John began writing `Ranger's Apprentice` for his son, Michael, ten years ago, and is still hard at work on the series. He currently lives in the suburb of Manly, Australia, with his wife. In addition to their son, they have two grown daughters and four grandsons.